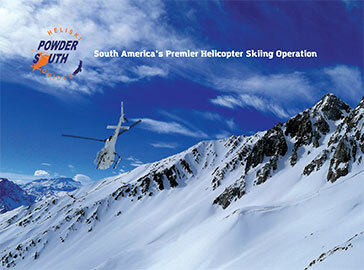 At Powder South we Pioneered Heli-Skiing in Chile, operating since 2002. It is our 15th seasons of successful operation. Powder South was founded by a pair of noted ski and mountaineering entrepreneurs and guides: Rodrigo Mujica (IFMGA/UIAGM Guide) and Joaquin Oyarzún (former Olympic Skier), they have dedicated their lives to mountain life and to excellence in mountain guiding and adventure travel, which is why you will find no better or more professional heli-ski operation in South America than POWDER SOUTH. Our guides are UIAGM / IFMGA Internationally Certified Mountain Guides and have decades of experience in the heli-ski industry worldwide. They are leaders in their profession and will not only keep you safe, but also make sure you find the best possible snow conditions and terrain for your enjoyment. We partner with the most reputable Local Helicopter Companies in Chile as Ecocopter and Suma Air and as well Air Zermatt in Europe. Our team of pilots are highly trained and experienced professionals. They know the Andes Mountain Range exceedingly well and manage landing zones at high altitude with superior expertise. 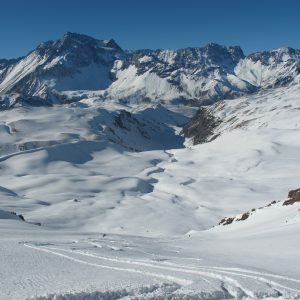 We have access to thousands of hectares of unlimited and untouched powder snow, offering a wide variety of heli-skiing terrain, from glaciated Andean peaks to steep ridges and gullies, with elevations ranging from 2,500 meters (8,250 feet) to 4,500 meters (14,850 feet). You almost have to see it for yourself to believe it. Every run is surrounded by a breathtaking backdrop of 6,700-meter (22,000-foot) peaks. 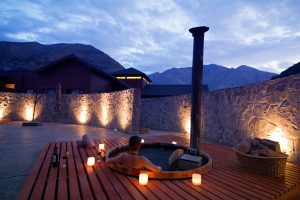 We use a diversity of modern and stylish mountain Lodges fully equipped with spa, outdoor hot tub, where you will savor the finest Chilean cuisine and renowned Chilean wines with traditional Chilean hospitality. For the urban lovers that want more action and nightlife in the cosmopolitan city of Santiago we use luxurious 5-star hotels. 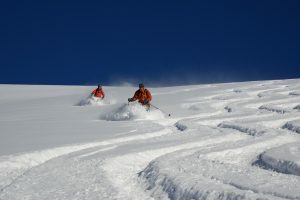 Powder South is an exclusive heli-ski operation, our groups are from 4 clients for private packages up to 8 people for semi-private packages, with a ratio of 1 guide for 4 clients. 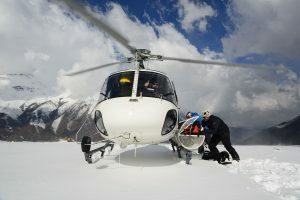 Moreover, you now, have the option of two helicopters on semi-private week to have even more flexibility to answer to any ski level and desires of the members of the group. 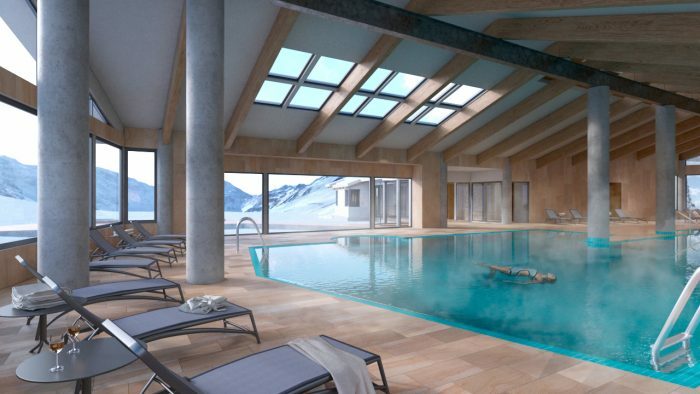 This new packages give you the opportunity to have the best of our different accommodations and ski terrain in one week period. You will be able to make the most of our two modern and deluxe Andean Lodges giving access of endless and pristine terrain at your doorstep. And on the other hand, enjoy all the facilities of a cosmopolitan city in a 5-star hotel on the same week. Our average skiing in a week is 5 days of skiing out of 6, that is quite high for a Heliski operation elsewhere, we often ski all 6 days of the week as well. We have the benefit of a maritime snowpack, which is light and dry due to the high altitude, synonymous with champagne powder at its best. 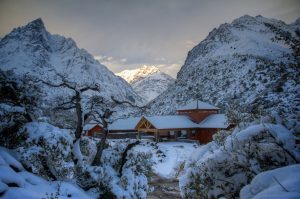 Snow accumulation comes from the Pacific Ocean, a mere 100 miles (160 km) west of the Andes. Snow pack is generally extremely stable. Flying conditions are best during winter due to an almost zero thermal reduction, which keeps the cumulus clouds away and leads to an abundance of bluebird days. 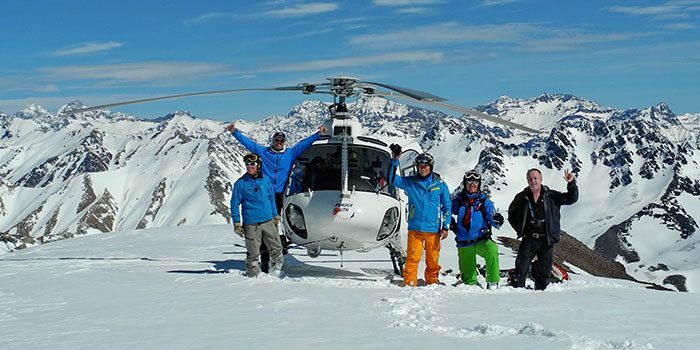 We use state-of-the-art AS 350-B3 and Bell 407 Helicopters, the highest possible standard for heli-skiing in the high Andes. Each helicopter is equipped with a GPS, satellite phone, VHF, first aid, oxygen, avalanche, rescue, and survival equipment. Safety equipment, transceiver, probe, shovel, and ABS (Avalanche Airbag System) are included. We provide as well, skis (Rossignol Soul 7, K2 Pontoons, K2 Coombas) and snowboards (Burton Cruisers), free of charge to all guest. Chile is a narrow country, so everything is nearby. In a while by helicopter you can be in so different surroundings. If poor weather does not allowed to heli-ski, you can head to Valle Nevado’s ski resort or go cat skiing at Valle Arpa or why not go to the beach to eat fresh fish & seafood or furthermore, visit a winery and savor a wine tasting or go shopping in the modern malls of Santiago. During down or rest day, if you prefer to stay at the lodge you can enjoy a massage, the spa, outdoor hot tub, or go horseback riding and mountain biking and then just relax by the fireplace. 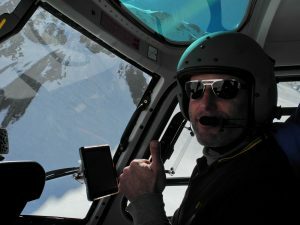 Heli-Ski from July to September! We are the best heli-ski option in the Southern Hemisphere that enables to offer alternate ski season during the Northern Hemisphere summer.